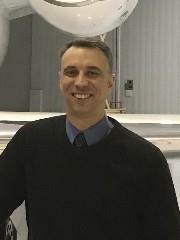 Jonathan is currently a team member of the Boston Scientific Corporation aviation department.Jonathan’s aviation career is deeply rooted in New England as a Massachusetts native and a graduate of Daniel Webster College. Becoming a flight instructor at DWC and for the Beverly Flying Club, Jonathan began his aviation career promoting aviation education. This theme continued as a Check Airman/Instructor Pilot/Captain at Planesense Inc. for 14 years. As a flight instructor and Check Airman Jonathan has been actively helping others to further their aviation careers for almost two decades. Jonathan has been on the MBAA Board of Directors since 2018.